We had to kill a whole lotta time in Hammond, LA while our van got fixed in Tickfaw, ten miles away. Yes, Tickfaw. Here’s part of the bounty we found at nearby Hobby Lobby. 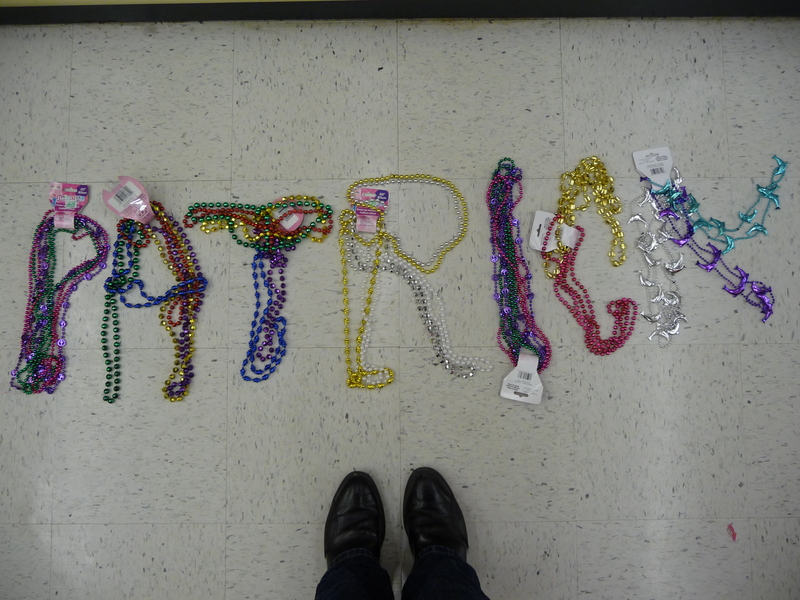 Should’ve used the beads thrown at pre-Halloween festivals, but was a little slow on the pick-up in New Orleans.